Last fall my Mom, Sister and I took a girls trip to the East Coast. 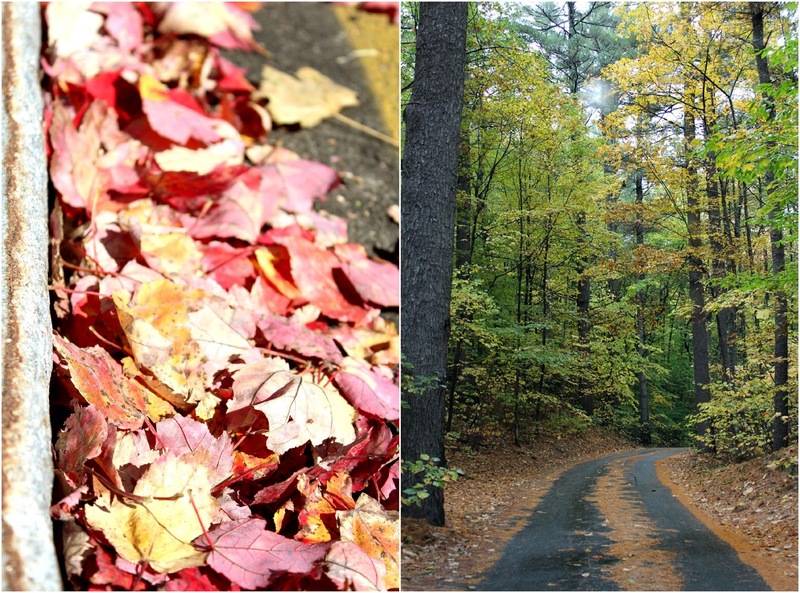 It was on my Mom’s bucket list to see the leaves change and we came along for the ride :) Here in Texas we have no seasons… we have warm, hot, hotter, warm again then a series of cool fronts for a winter with mild days between. We were in awe with all of the colors and the history of the cities. The locals there told us we “were a week late” to see the really good colors- Of course we didn’t know that! To anyone who lives on the east coast and sees this every year- I think you take this for granted. I wanted a way to “save” some leaves so I placed them away in a notebook and brought them home. My mom is going to start a gallery wall for her office so I though some leaf art from New England might be the perfect touch. I measured the frame and used craft paper cut the the right dimensions and taped it down. Then I mod podged the back of the leaves and placed them on the craft paper where I wanted. I pressed them down a little and then mod-podged the tops. Careful not to get it too thick outside of the leaf or it will dry darker. Then I added a little trip reminder. The Mod Podge makes the paper a little “rumply” so I stacked book on top after it dried. Then frame it. The Mod Podge has sealed in the colors so far so hopefully they don’t fade too much. So who all is from the East Coast and gets to live in this beauty… and who is with me on no seasons? Great idea! I live on Cape Cod and never thought to save our leaves. I guess I am not taking the time to appreciate the beauty that is around me. That’s great!! 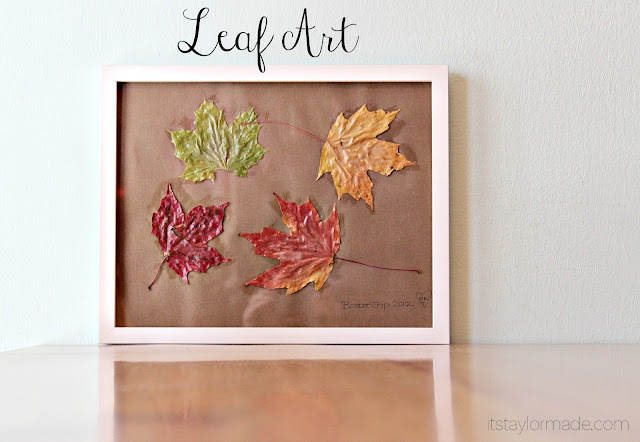 My daughter is always wanting to save leaves and things, so I am going to have to show her this trick..we’ll have so much fun with this! What a great way to both remember and create cool and clever artwork!